The RTU Foamer 3.5 is the quickest and easiest way to pre-clean soiled surgical instruments. It has many performance upgrades and new features including a Fluid Control knob, a cooling fan and power management software. The Fluid Control knob allows the user to adjust foam quality. Turn the Fluid Control knob up for a more liquefied foam or turn down for a dryer/airier foam that uses up to 45% less cleanser. 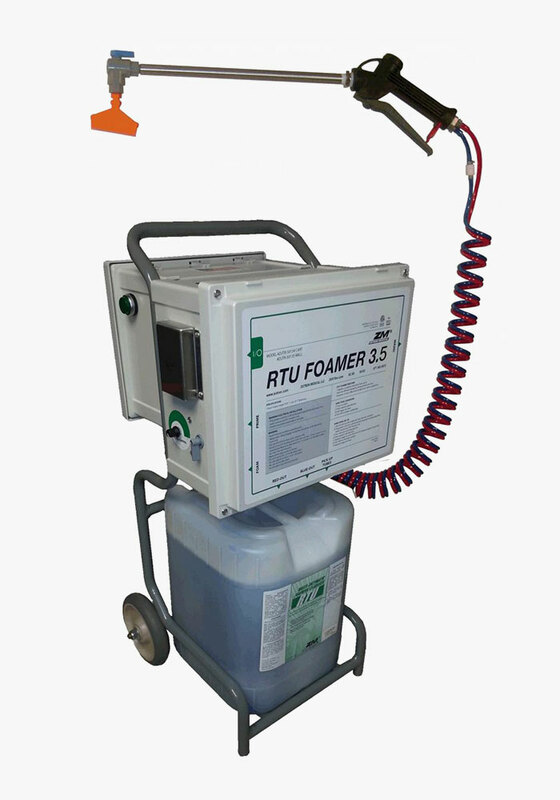 The RTU Foamer 3.5 also has a cooling fan that helps the air flow through the unit to prevent over heating. A software update has also been implemented into the foamer which will help provide performance enhancements and prolong the life of the unit. The RTU Foamer 3.5 is available in both cart and wall mount options. There are Lease and Usage Programs available to help make purchasing easier.